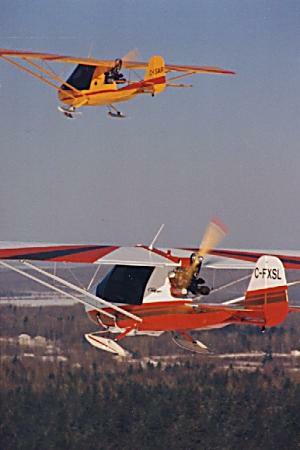 Scott Russell and Bryan Quickmire head out of Montreal, westbound 500 km to Barrie after the 9th Annual Challenger Skiplane Rendezvous. Getting there is half the fun. Being there is half the fun. Flying home is half the fun. Okay, so we're not great at math, but we do have fun! Oh yeah, and flying formation with another Challenger is twice the fun!